We knew there wouldn't be much on show for DS this year at E3, but Nintendo has managed to scoop the last few remaining titles together and sculpt them into a release schedule for the coming year. There are a few notable releases in there, mainly Professor Layton and the Last Specter and Kirby: Mass Attack, but it's understandably light on major titles. Still, there's some games worth looking forward to for steadfast owners of the 2D dual-screen machine. derp derp. 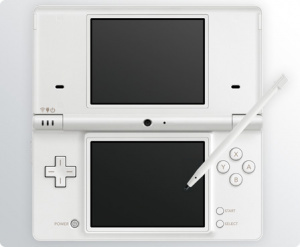 so is the dsi dead? Dragon Quest and Layton. Fair well DS you have been good. Is it ironic that a company called "GameMill" would release shovelware? Super Fossil Fighters!? Never knew there be a sequal! What about Harvest Moon, Tale of Two Towns? Layton for sure, and perhaps Kirby as well. As for DSiWare, nice to see a date for Aksys oddball title. Out of these, I think I'm only getting Layton. Out of these, I plan on getting Professor Layton and the last specter, Kirby mass attack and SMT: devil survivor 2. How do you make a game about Pillowpets? I guess the same way you make a game about Silly Bandz. I want the Professor Layton game, but when I look at it, I could take that money and save it for a 3DS game instead in the holiday season, I'm still happy with plenty of Wii games and I can replay some of my DS collection. Nothing inbetween now and then that I want to buy except maybe an Eshop card. The only one I'm really surprised to not see on the list is the second Fire Emblem remake that was released awhile back in Japan. The others I thought were going to be released. Maybe the Fire Emblem game will be announced later. Right now, Professor Layton 4 and Kirby Mass Attack interests me. Heck, I don't even have PL 3 yet! I'm wondering if the title "Professor Layton and the Last Specter" will stick for the UK release, or whether they'll change it, like they did with Diabolical Box/Pandora's Box and Unwound Future/Lost Future. I'm pretty sure they'll stick with UK Luke though. I'd be incredibly upset if they switched to Luke's US voice actor. Other than that (day one purchase for me) the only other DS game I'd be looking into getting would be Kirby: Mass Attack. Epic Yarn got me into Kirby, and I'm interested to see what else the pink blob has to offer. Other than that, could those be my last ever new release DS purchases? I'm sure I'll pick up titles I've missed from the back catalogue, such as the Zelda games, but still, it is sad to see support finally starting to wind down for the old girl. Still, she had a marvellous run, having started out on day one with Super Mario 64 DS. ...but what about Giana Sisters DS? SMT: Devil Survivor 2, possibly Kirby, maybe Layton. What I'd really like to know, though, is where Fire Emblem 12 is. It was released last year in Japan, and we haven't heard anything about a western release. Still no Fire Emblem, and shouldn't Zelda Four Swords Adventure be in that list? Cool I'm glad they are still releasing some things for the DS. Sad that Fire Emblem, Solatorobo and Ni no Kuni are missing from that list. Looks like one more year of mostly shovelware. A nice surprise to see Super Fossil Fighters make it, though. Nntendo had less in their conference for the DS than they had for the Wii (1 to zero by my count) but not even having a DS heading for your E3 coverage is rubbing salt in the wound. What happened to flipper and clay fighter? I figured this would happen when the 3DS came out. Oh well thank goodness there are still alot of DS that I still havent played. WHERE'S MY FIRE EMBLEM 12??? Did everyone forget that Ultimate Brain Games and Ultimate Card Games were supposed to originally come out in late 2004/early 2005!! Can't wait for the Layton game! Actually the Ben 10 cart is the trilogy of Protector of the Earth, Alien Force and Vilgax attacks.We've played and sold on all of those games anyway. I imagine the "racer" game will be yet another watered down MK clone. Layton and Kirby Mass Attack are insta-buys. Yeah, but seriously, where's Solatorobo and Fire Emblem? Doesn't Solatorobo have a definite release date of 1st July anyway? Transformers, generator rex, captain america, x-men, green lantern. thats it. Nothing on this list interests me very much except Professor Layton...and where the heck is Fire Emblem!? 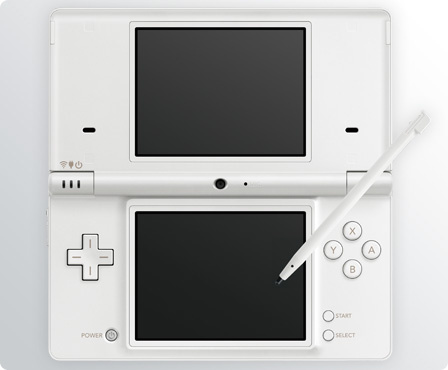 again I ask, not meaning to flame, how much life is left in the ds? Where's One Piece Gigant Battle ffs? I thought that was out July or Sept! I've seen many trailers and read a lot of stuff about Kirby Mass Attack. And that's pretty much the only thing from the list I want. Plus Afterzoom. That looks pretty cool.